Codeine is not safe for all users, as it has the ability to cause side effects which can range from common, such as stomach pain, constipation, and nausea, to more serious conditions like hallucinations, renal failure, or vision changes. Although rare, these side effects are a cause for concern, so patients should thoroughly understand the codeine side effects risks before taking this medication. In order to minimize potential side effects, it is important for patients that are prescribed codeine to tell their physician and pharmacist about any other medications, nutritional supplements, vitamins, or herbal products that they are taking or plan to take. These serious side effects are also thought to be more likely and more severe in patients with renal disease or liver disease. In order to minimize the symptoms of withdrawal, it is suggested that long-term and chronic codeine users gradually reduce their medication usage under the supervision of a physician. Support groups may also exist to help people that have a dependence on codeine. Many of the serious side effects of codeine are thought to be most likely to occur in the elderly population. In addition, research has been conducted to study the risk of hip fracture in elderly patients receiving a prescription for codeine. It was found that concurrent users of codeine and psychotropic drugs, such as antipsychotics, antidepressants, and sedatives, had a risk of fracture 2.6 times greater than non-users of codeine. 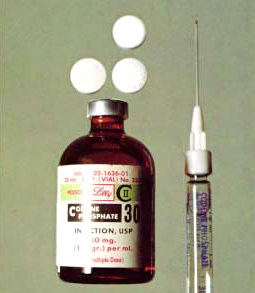 When taken appropriately, codeine can relieve the discomfort that patients recovering from surgery or injury experience. However, this medication can also cause serious side effects when abused, taken by the elderly, or used by pregnant women. It is important to consult with a physician before taking this medication in order to discuss other health issues and medications that a patient is taking.